Dr. Carlos Bustamante, a prominent population geneticist, recently concluded that Senator Elizabeth Warren had “a Native American ancestor.” While geneticists agree on the validity of the test, which is based on established statistical models of DNA inheritance, we as two Native American geneticists find the interpretation to be problematic. The reasons have to do with what we see as Warren’s motives, the genetic variants informing the comparison and overall concerns Native Americans have with genetic testing. Because Bustamante used Indigenous individuals from Central and South America as a reference group to compare Warren’s DNA, we believe he should have stated only that Warren potentially had an “Indigenous” ancestor 6-10 generations ago, not conclusively a “Native American” one. The distinction might seem hypercritical to most, but to the sovereign tribal nations of the United States it’s an important one. Bustamante’s analysis utilized genetic data collected from Indigenous individuals as part of the 1000 Genomes Project. The project’s broad goal was to catalog genetic data from worldwide populations to advance knowledge of human diversity. While the 1000 Genomes Project learned from its predecessors and adopted more extensive consent procedures, it and other large-scale ancestry projects publicly disclose the genomic information they collect, which is meant to advance research. But Indigenous groups’ concerns about having commercial companies profit from their genetic material without their inclusion has endured. Data from the 1000 Genomes Project and Human Genome Diversity Project, for instance, are used to inform percent Native American ancestry estimates as advertised by direct-to-consumer tests 23andMe and AncestryDNA, the latter of which posted a billion dollars in revenue in 2017. For these reasons, Bustamante could not use U.S. tribal groups in his analyses of Warren’s DNA. But how does this affect the interpretation? These studies compare the genetic variants that an individual possesses to a reference group. In Bustamante’s analysis, he used 37 Indigenous individuals from Mexico, Peru and Colombia. Indigenous communities and nations across both continents exchanged goods, migrated and intermarried, and can be culturally linked. But considering that Indigenous peoples of Central and South American have important different population and genetic histories from tribes of the U.S., one can see that he utilized a proxy. Importantly, most genetic tests sample only a subset of a person’s DNA at certain locations, or loci, on a person’s chromosomes. Often, a set of markers across a genomic region are passed onto progeny with other regions due to physical proximity on the DNA, although this is not the case for all parts of the genome. Statistics are then used to determine which loci are more likely to be co-inherited with others. Determining which tribal census record – for instance, the Dawes Roll or 1924 Baker Roll used by the Cherokee Nation of Oklahoma and Eastern Band of Cherokee Indians, respectively, for enrollment – requires specific knowledge of the ancestor in question. Even though the Dawes Roll has an extensive record of past enrollees, as Cherokee Nation of Oklahoma tribal member McKalee Steen told one of us (Tsosie), “there were a lot of people [who] were too afraid to sign it.” Those that refused voluntary enrollment were ultimately coerced or forced against their will to sign, according to Cherokee Nation of Oklahoma citizen and genealogist Twila Barnes. In the following years, harsh assimilation policies and inconsistencies in federal documentation of racial status led many Cherokee to dissociate from previously-held tribal affiliation. The implications of this lasted well into the mid-20th century in Oklahoma, where Sen. Warren was raised. Throughout this, Warren has stated that she understands the “distinction between citizenship and ancestry” and she does not seek tribal enrollment in the Cherokee Nation of Oklahoma. But even with the backlash by Native Americans, she still defends her decision to release her DNA test results. Her response, “I have an election,” and her immediate call to a bet with President Trump illuminates her political motives in trying to demonstrate a Native American ancestry. 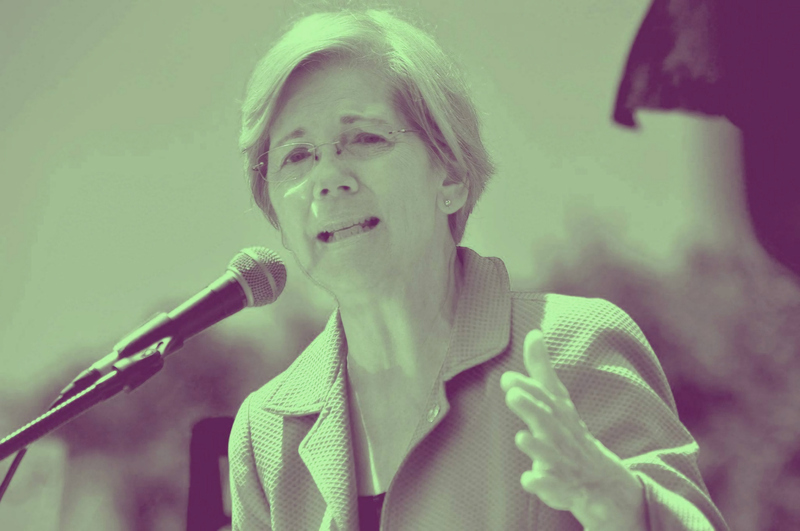 From our perspective, Warren has taken a complex and harmful history of “Indian” blood quantification – a system we see as meant to dilute our existence – and reduced it to a political ploy. As such, we ultimately see the test is about her own political gain. In fact, we wish to be excluded from any conversation that conflates DNA ancestry with Indigenous or Native American identity. And the distinction is an important one – “Native American” is not just an ethnic term but it is a cultural and political designation. Tribal sovereignty, the ability to self-govern, is constructed on a special nation-to-nation relationship with the federal government and requires the ability to determine citizenship. To have this biologically reified and reduced to biomarkers from a broad definition of Indigenous peoples that each have their own histories is to threaten the very sovereign status that enables Native American cultural and traditional ways of living. This article was originally published by our media partner, The Conversation. It has been re-published at IC under a Creative Commons License.